Where we take a moment to explore some of the unique and impressive species that call the Great Lakes home. Sun-gazer. Squirrel of the marshes. Smallest heron in the Americas. Measuring about a foot in length and weighing in at less than 4 oz., the least bittern is widely spread but rarely seen. 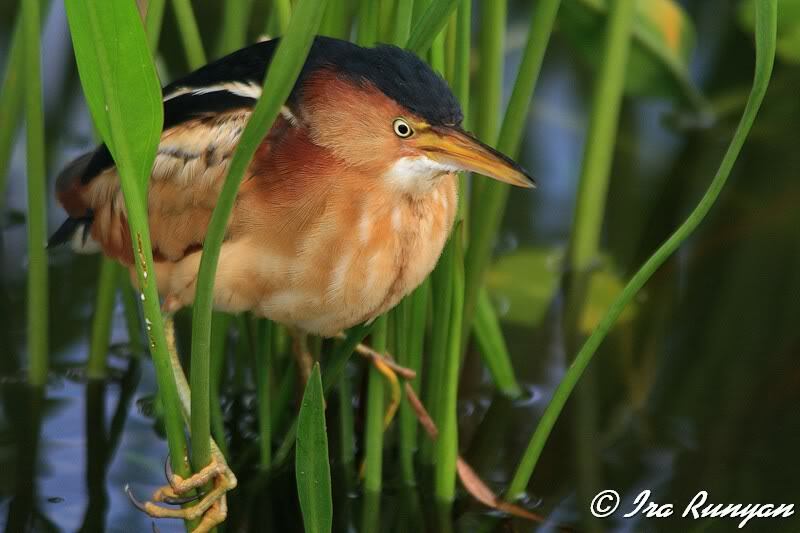 Least bitterns make their homes among the reeds of dense wetlands. Even with a migratory range from southern Canada to northern Argentina, this threatened bird remains elusive, making it hard for wetland managers to get an idea of their numbers. Migrating to the Great Lakes each summer to breed, least bitterns fly only at night. And as if that didn’t make visual identification difficult enough, they also prefer to flee from predators and approach their nests on foot. On top of it all, least bitterns are well camouflaged. When threatened, the bird will freeze and point its head upward, exposing vertical striping on its throat that allows it to blend in with its surroundings—thus the nickname “sun grazer.” They will even sway in the breeze to match the motion of the reeds. Elusive as they are, least bitterns are more often heard than seen—a low cooing from the males and a ticking from the females is the best way to “spot” them. Nests are made by constructing platforms of reeds above the water. Even these are camouflaged. A canopy of surrounding marsh plants is crimped in place above the nest. But the 4-5 eggs laid every season won’t be in the nest for long. Over the span of roughly 50 days, the chicks will hatch, fledge, and leave the nest to start hunting on their own. 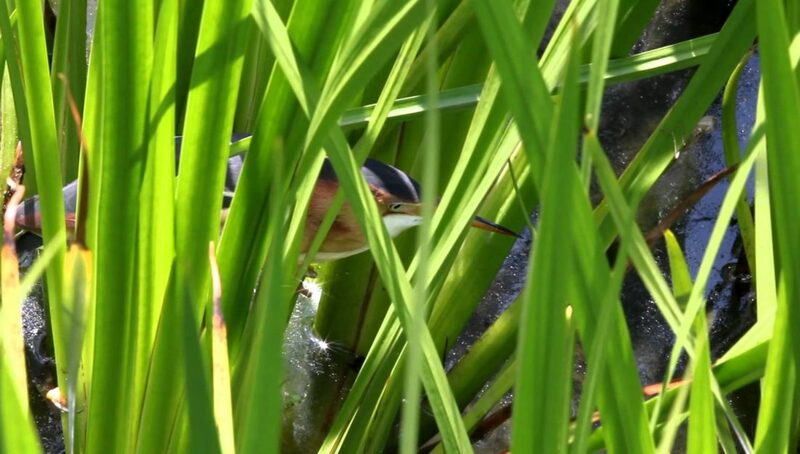 Like squirrels leap from branch to branch, least bitterns walk among the reeds 2-3 feet above the water, allowing them to hunt in areas well outside the wading range of larger birds. Balancing on a reed, they strike down with their long bills to catch their prey. Their diet consists of fish like minnows and perch, insects, frogs and other small amphibians, invertebrates, crayfish, and even mammals like shrews and mice. We’ll have more species spotlights in the coming weeks. In the meantime, check out our spotlight on lake sturgeon.